Looking for expert Porsche service near Wayzata? 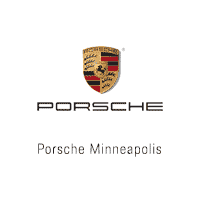 Stop by the Porsche Service Center at Porsche Minneapolis. Our team of certified service technicians can help take care of all your Porsche maintenance and repair needs. Whether it’s time for your next oil change or tire rotation, or if your car requires brake or transmission service, you can count on our professional team to get the job done right. We even offer premium car detailing services to keep your Porsche looking good as new. Make sure to explore our service specials to take advantage of some of the best deals in the Orono area, then schedule a service appointment with us today! At Porsche Minneapolis we only use genuine Porsche parts, which are proven to provide the perfect fit with your specific Porsche model and last much longer than aftermarket parts. The engineers at Porsche have rigorously tested these parts, and they are backed by a 2-year warranty. Our knowledgeable parts team can help you find the right part for your Porsche, and for your convenience, you can easily order parts from us online. Please use the buttons below to schedule service at Porsche Minneapolis or contact our Service Department. You can also call us at 612-503-3792.